Compromise is catnip in Washington, D.C. That’s my best guess at why Senator Lindsey Graham (R-SC) would endorse New York Senator Chuck Schumer’s (D) widely reviled plan to create a mandatory biometric national ID system. “All the national employment ID card will do is make forgery harder,” says Schumer. No, that’s not all it would do: It would also subject every employment decision to the federal government’s approval. It would make surveillance of law-abiding citizens easier. It would allow the government to control access to health care. It would facilitate gun control. It would cost $100 billion dollars or more. It would draw bribery and corruption into the Social Security Administration. It would promote the development of sophisticated biometric identity fraud. How long should I go on? No, Senator, that’s not all you’re saying. You’re saying that native-born American citizens should be herded into Social Security Administration offices by the millions so they can have their biometrics collected in federal government databases. You’re saying that you’d like a system where working, traveling, going to the doctor, and using a credit card all depend on whether you can show your national ID. You’re saying that bigger government is the solution, not smaller government. The point for these senators, of course, is not the substance. It’s the thrill they experience as nominal ideological opponents finding that they can agree on something, securing a potential breakthrough on the difficult immigration issue. They’re only ”nominal” ideological opponents, though. Chuck Schumer has always been a big government guy—and long a supporter of having a national ID, despite the lessons of history. Lindsey Graham is not really his ideological opponent. Typical of politicians with years in Washington D.C., Graham is steadily migrating toward the big-government ideology that unites federal politicians and bureaucrats against the people. 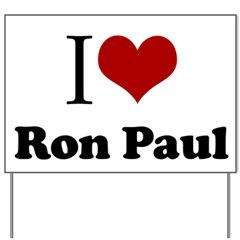 BTC - For many years now, Rep. Ron Paul has been the most consistent congressional leader speaking against the very persistent nonsense that everyone in America needs a biometric ID. When you hear business leaders crabbing that the opposition argument to national ID "is getting old" over that little matter of common privacy- I really believe we are really getting somewhere. I think the biometrics legislative industry is about to lose their shirts to a repeal of the Real ID Act. They have no where to go. Ron Paul states his observation in this Great Moments in Real ID history as LewRockwell reports. The US House of Representatives passed a spending bill last week that contains provisions establishing a national ID card, and the Senate is poised to approve the measure in the next few days. This week marks the American public’s last chance to convince their Senators they don’t want to live in a nation that demands papers from its citizens as they go about their lives. Absent a political miracle in the Senate, within two years every American will need a conforming national ID card to participate in ordinary activities. This REAL ID Act establishes a massive, centrally-coordinated database of highly personal information about American citizens: at a minimum their name, date of birth, place of residence, Social Security number, and physical characteristics. The legislation also grants open-ended authority to the Secretary of Homeland Security to require biometric information on IDs in the future. This means your harmless looking driver’s license could contain a retina scan, fingerprints, DNA information, or radio frequency technology. Think this sounds farfetched? Read the REAL ID Act, HR 418, for yourself. Its text is available on the Library of Congress website. A careful reading also reveals that states will be required to participate in the “Drivers License Agreement,” which was crafted by DMV lobbyists years ago. This agreement creates a massive database of sensitive information on American citizens that can be shared with Canada and Mexico! Terrorism is the excuse given for virtually every new power grab by the federal government, and the national ID is no exception. But federal agencies have tried to create a national ID for years, long before the 9-11 attacks. In fact, a 1996 bill sought to do exactly what the REAL ID Act does: transform state drivers’ licenses into de facto national ID cards. At the time, Congress was flooded with calls by angry constituents and the bill ultimately died. Proponents of the REAL ID Act continue to make the preposterous claim that the bill does not establish a national ID card. This is dangerous and insulting nonsense. Let’s get the facts straight: The REAL ID Act transforms state motor vehicle departments into agents of the federal government. Nationalizing standards for driver's licenses and birth certificates in a federal bill creates a national ID system, pure and simple. Having the name of your particular state on the ID is meaningless window dressing. Federally imposed standards for drivers' license and birth certificates make a mockery of federalism and the 10th amendment. While states technically are not forced to accept the federal standards, any refusal to comply would mean their residents could not get a job, receive Social Security, or travel by plane. So rather than imposing a direct mandate on the states, the federal government is blackmailing them into complying with federal dictates. One overriding point has been forgotten: Criminals don’t obey laws! 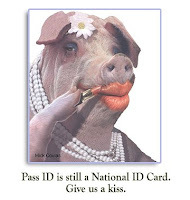 As with gun control, national ID cards will only affect law-abiding citizens. Do we really believe a terrorist bent on murder is going to dutifully obtain a federal ID card? Do we believe that people who openly flout our immigration laws will nonetheless respect our ID requirements? Any ID card can be forged; any federal agency or state DMV is susceptible to corruption. Criminals can and will obtain national ID cards, or operate without them. National ID cards will be used to track the law-abiding masses, not criminals. BTC Exclusive - Language to HB 234, Utah's state bill to opt-out of Real ID, was amended recently as a concession to gain Gov. Herbert's signature. The amendment, authored by Senator Margaret Dayton, limited the state bill's ability to prohibit all future national identity programs from consideration in the State of Utah. Future federal identity legislation, like the proposed Schumer-Graham bill to approve national biometric worker ID cards, would not be excluded from considerations in the amended version of the bill. The bill, if passed as amended, would close the door on any future implementations or benchmark compliance movements in Utah. The issue of license benchmark compliances were debated during the bill's passage through the House, according to sponsor Rep. Stephen Sandstrom. Citizens opposed to Real ID and similar legislations balked at some of the bill's language, doubting the bill's ability to stop incremental movements forward to implement the use of RFID and subsequent databases. "There is nothing in the current [license] code to [move forward with RFID, databases], " said Sandstrom, who says the bill would opt-out Utah of any future compliance with the Real ID Act, but not of future programs involving national identity. License holders who possesss cards which comply in part with the Real ID Act program will not have to return to the DMV to get a different license once the bill is passed. For instance, Utah license holders with benchmark compliant bar codes won't return to long lines to renew or replace licenses for new IDs without barcodes. Utah licenses with the barcodes also won't be moved to the next step of being incorporated into a national to international database aggregate set forward by the Real ID program. ACTION ITEM: Can you prove you're not a terrorist? BTC - Better late than never. Downsize D.C., ever faithful in the anti-national ID fight is this weeks D.I.Y Government OPEN LETTER which is due a blog entry. Use it or lose it. The REAL ID Act has punished innocent Americans with red tape, higher fees, and lost privacy. Some in Congress want to add to these burdens. Let's stop them! 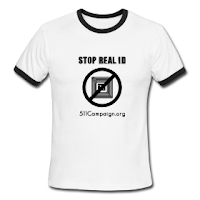 Please tell Congress to repeal REAL ID and oppose any further attempts at creating a national ID card. What is the purpose of REAL ID? Why should either (misguided) goal interfere with an American citizen's attempt to renew a driver's license? REAL ID is working exactly as I thought it would. It punishes innocent Americans like me with red tape and higher fees by forcing us to "prove" we're not terrorists or illegal immigrants. In Florida . . . This hardly inspires confidence that a nationalized ID system will stop terrorists and criminals from getting driver's licenses! In other words, to hold down a job, I would have to be fingerprinted, enrolled in a national database, and possibly tracked. I have had it! This is America! Americans shouldn't have to prove we're not terrorists, or that we're not illegal immigrants. I have the right to travel. I have the right to earn a living. I resent and reject any government program that presumes I must ask for permission. I demand that you repeal the REAL ID Act and do everything in your power to oppose the PASS Act, the Graham-Schumer card, and all forms of national ID. You may send your letter using DownsizeDC.org's Educate the Powerful System. And please consider making a donation to further our work. Waking Up Orwell reconvenes at it's normal program time this week. News regarding National identity and more. There is a lot of buzz right now about repealing Real ID as a measure to answer back to the run on American identity through labor using biometrics. Special guest Tangerine Giy joins the program to talk about her experiences as a Iraq war veteran from the National Guard. She is a naturalized citizen who emmigrated with her family from Burma to avoid life in a fascist regime. Ms. Giy was raised in a very conservative, traditional Asian home. Her father became a self-made small business owner, a local community leader, and eventually a city politician. She joined the National Guard in her late teens, during peacetime. In 2003, she was deployed to Iraq in a bizzare application of the Bush Administration's foreign policy to staff up armed services support in the middle east. She will retire from active duty soon and is very engaged with her college studies in Northern California. Unfortunately, she also suffers from the more persistent of battle traumas: PTSD. She has so generously decided to share her experiences in the Iraq war theater with us. BTC - Remember "Know your customer"? Well now everyone in Manhattan might know your a Citibank customer and your identity keys. Thanks a lot. Just what we needed. Citibank mistakenly printed 600,000 customers' Social Security numbers on the envelopes containing their year end tax statements, the company acknowledged Tuesday. The letters, sent via the U.S. Postal Service in January, had the numbers printed on the envelopes' lower edges. Citibank called the flap a "processing error" in a Feb. 16 letter to affected customers and promised it wouldn't happen again. "We believe there is little or no risk to you," the letter reads. "However, we wanted to bring this to your attention, apologize and confirm that changes have been made for all future mailings." Mr. Schumer said employers would be able to buy a scanner to check the IDs for as much as $800. Small employers, he said, could take their applicants to a government office to like the Department of Motor Vehicles and have their hands scanned there. Lawmakers working to craft a new comprehensive immigration bill have settled on a way to prevent employers from hiring illegal immigrants: a national biometric identification card all American workers would eventually be required to obtain. Lawmakers working to craft a new comprehensive immigration bill are proposing a new national biometric ID card that would be required of all U.S. workers. WSJ's Laura Meckler explains the proposal and the objections from privacy advocates. Under the potentially controversial plan still taking shape in the Senate, all legal U.S. workers, including citizens and immigrants, would be issued an ID card with embedded information, such as fingerprints, to tie the card to the worker. The ID card plan is one of several steps advocates of an immigration overhaul are taking to address concerns that have defeated similar bills in the past. The uphill effort to pass a bill is being led by Sens. Chuck Schumer (D., N.Y.) and Lindsey Graham (R., S.C.), who plan to meet with President Barack Obama as soon as this week to update him on their work. An administration official said the White House had no position on the biometric card. "It's the nub of solving the immigration dilemma politically speaking," Mr. Schumer said in an interview. The card, he said, would directly answer concerns that after legislation is signed, another wave of illegal immigrants would arrive. "If you say they can't get a job when they come here, you'll stop it." The biggest objections to the biometric cards may come from privacy advocates, who fear they would become de facto national ID cards that enable the government to track citizens. "It is fundamentally a massive invasion of people's privacy," said Chris Calabrese, legislative counsel for the American Civil Liberties Union. "We're not only talking about fingerprinting every American, treating ordinary Americans like criminals in order to work. We're also talking about a card that would quickly spread from work to voting to travel to pretty much every aspect of American life that requires identification." Mr. Graham says he respects those concerns but disagrees. "We've all got Social Security cards," he said. "They're just easily tampered with. Make them tamper-proof. That's all I'm saying." U.S. employers now have the option of using an online system called E-Verify to check whether potential employees are in the U.S. legally. Many Republicans have pressed to make the system mandatory. But others, including Mr. Schumer, complain that the existing system is ineffective. Last year, White House aides said they expected to push immigration legislation in 2010. But with health care and unemployment dominating his attention, the president has given little indication the issue is a priority. Rather, Mr. Obama has said he wanted to see bipartisan support in Congress first. So far, Mr. Graham is the only Republican to voice interest publicly, and he wants at least one other GOP co-sponsor to launch the effort. An immigration overhaul has long proven a complicated political task. The Latino community is pressing for action and will be angry if it is put off again. But many Americans oppose any measure that resembles amnesty for people who came here illegally. Under the legislation envisioned by Messrs. Graham and Schumer, the estimated 10.8 million people living illegally in the U.S. would be offered a path to citizenship, though they would have to register, pay taxes, pay a fine and wait in line. A guest-worker program would let a set number of new foreigners come to the U.S. legally to work. Most European countries require citizens and foreigners to carry ID cards. The U.K. had been a holdout, but in the early 2000s it considered national cards as a way to stop identify fraud, protect against terrorism and help stop illegal foreign workers. Amid worries about the cost and complaints that the cards infringe on personal privacy, the government said it would make them voluntary for British citizens. They are required for foreign workers and students, and so far about 130,000 cards have been issued. Mr. Schumer first suggested a biometric-based employer-verification system last summer. Since then, the idea has gained currency and is now a centerpiece of the legislation being developed, aides said. A person familiar with the legislative planning said the biometric data would likely be either fingerprints or a scan of the veins in the top of the hand. It would be required of all workers, including teenagers, but would be phased in, with current workers needing to obtain the card only when they next changed jobs, the person said. The card requirement also would be phased in among employers, beginning with industries that typically rely on illegal-immigrant labor. The U.S. Chamber of Commerce doesn't have a position on the proposal, but it is concerned that employers would find it expensive and complicated to properly check the biometrics. Initially, [Hardin County] jail's officers manually tracked each inmate using paper and pen, and input various details—such as that individual's recreation time, head counts and the specifics of any interactions—into the PC, to be stored in the facility's jail-management system. The problem was that the data was often passed through several officers, a great deal of time could elapse before it was entered, and there was no way to prove any stated interactions actually occurred. Utah's bill to opt out of the Real ID Act , HB 234, has passed both chambers of the State legislature and is now on the way to the Governor's desk today. The bill was signed by the Senate President late afternoon. Rep. Stephen Sandstrom, author of the bill, introduced HB 234 at the beginning of the Utah legislative session. He then watched it rocket through the local legislature after mounting public outcry over decisions to move forward with implementation of Real ID regulations for drivers licenses.